Featured on the cover and inside Downtown Kitchener's OWNIT 2018 issue. Full magazine here. "Drab to fab" article in Do What You Wish blog site, March 2017, featuring the mural at 800 Franklin. 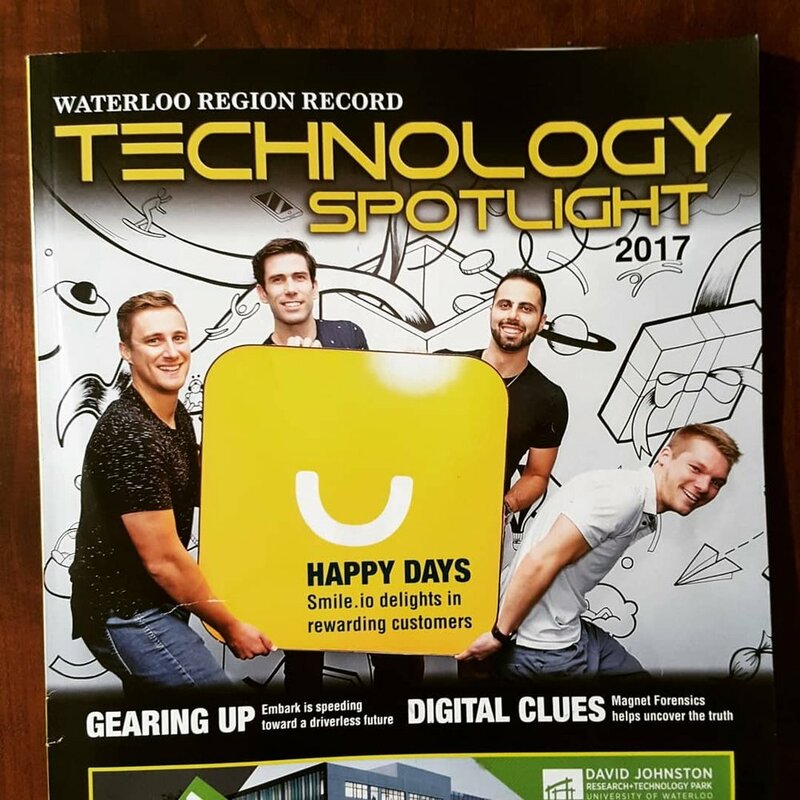 Mural for Smile.io's office featured in the Waterloo Region Record Technology Spotlight, 2017. I was a guest on The Maker's Collective podcast, launching February 2018. Mural at 800 Franklin featured in the Waterloo Region Record in January 2016. Featured in Now Toronto: one of 5 finalists selected for a graffiti art competition in September 2017. Article about the Bread Factory mural featured in the Cambridge Art Galleries website, written in conjunction with my solo exhibition at the Idea Exchange / Design at Riverside Gallery in 2014.